Lock in a great price for Florence Suite Boutique Hotel and Restaurant – rated 9 by recent guests! Great location, friendly and helpful staff, nice breakfast. IT WAS A LOVELY STAY THE ROOM WAS BIG WITH PLENTY OF LIGHT AND VERY CLEAN. COMFY BED AND LARGE BATHROOM AND SHOWER. Everything was great. The room was lovely and the staff really friendly. Excellent value for money. The facilities are in a central location and are very charming. The room was perfect as was breakfast. We would recommend the restaurant that is associated with this hotel that is right down the street. Outstanding breakfast. Comfy bed. Nice shower and bath products. This hotel was charming, clean and staff was friendly. It was in a great location and their restaurant was fabulous! I was in the UK for 2 weeks and this was the best meal I had! I also have difficulty sleeping and was able to get a great night's rest. I will definitely be back! Bedrooms spacious and comfortable, friendly and helpful reception staff, excellent breakfast with very cheerful and helpful waitress. Food at the Florence Arms was exceptional with, again, very attentive staff. Excellent staff - very welcoming. Room was very clean and as described. Breakfast was beautifully cooked and set us up well for a days sightseeing. Highly recommended. 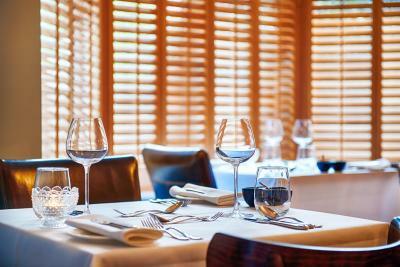 Florence Suite Boutique Hotel and Restaurant This rating is a reflection of how the property compares to the industry standard when it comes to price, facilities and services available. It's based on a self-evaluation by the property. Use this rating to help choose your stay! 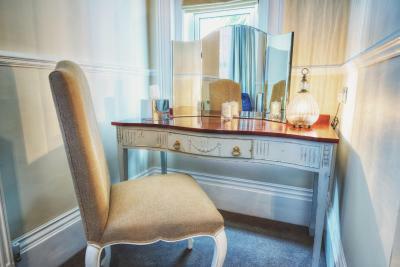 Just a 5-minute stroll from Southsea beach and 10 minutes from the South Parade Pier, Florence Suite Boutique Hotel and Restaurant provides luxury accommodations. A mix of on and off-road parking is available, free of charge. With room service available, each bright and airy room is has its own unique style and a modern private bathroom with L'Occitane en Provence toiletries. The beds at Florence Suite Boutique Hotel and Restaurant are made up with feather duvets and Egyptian cotton linen, and each room has tea/coffee, a flat-screen TV and access to free WiFi. 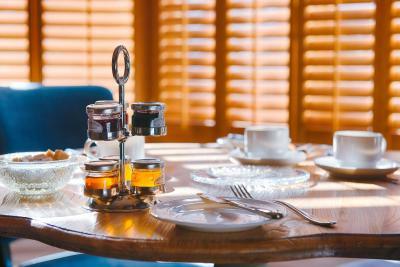 A full à la carte cooked breakfast is served each morning. The Florence Suite offers a boutique gastro pub serving serving a unique menu plus beers, ales, wines and cocktails. Guests are also able to enjoy the garden area. 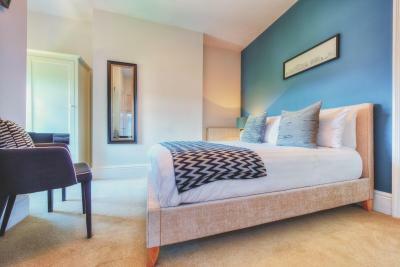 Florence Suite Boutique Hotel and Restaurant is just over a mile from the Gunwharf Quays and the Dockyard. There is free parking at the property. This property is also rated for the best value in Portsmouth! Guests are getting more for their money when compared to other properties in this city. When would you like to stay at Florence Suite Boutique Hotel and Restaurant? This room features an en suite shower room with L'Occitane en Provence toiletries. This room cannot accommodate children, extra beds or cots. 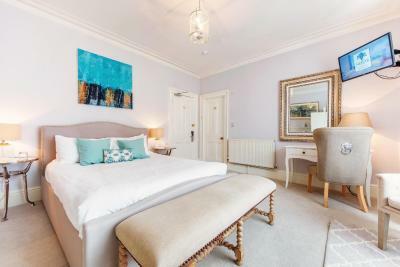 This spacious room features a king-size bed, a flat-screen TV, dressing table and a spacious shower room with L'Occitane en Provence toiletries. 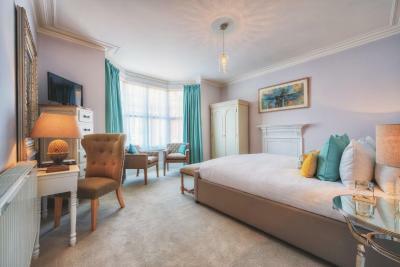 This spacious room has a king-size bed, a seating area and an en suite shower room with L'Occitane toiletries. 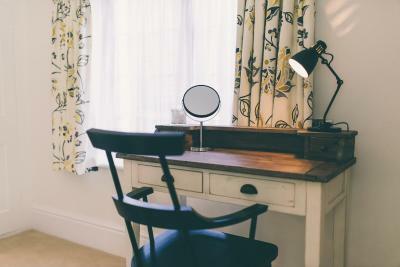 This suite has a large, king-sized bedroom with an en suite shower room, a work desk and a dressing table. There is also a separate lounge. The room also has a private outside decking area. Please note this room has a low bed. 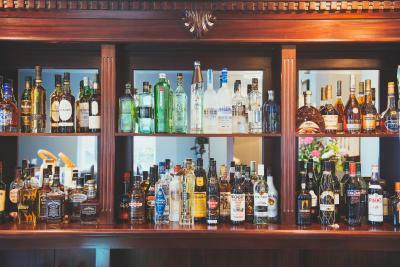 House Rules Florence Suite Boutique Hotel and Restaurant takes special requests – add in the next step! This hotel does not accommodate children. Florence Suite Boutique Hotel and Restaurant accepts these cards and reserves the right to temporarily hold an amount prior to arrival. Please note that check-in takes place at the Florence House at 2 Malvern Road. The Florence House is 2 doors from the Florence Suite. Please note the property does not have a elevator to upper floors. The hotel offers a mix of on and off-road parking, free of charge. It is not possible to reserve the off-road parking. Breakfast is served from 07:00 to 09:00 on weekdays, and from 08:00 to 10:00 on weekends and bank holidays. Guests that purchase the dinner, bed and breakfast rate will be served 3 courses at The Florence Arms Gastro Pub. The direction s for parking aren't very clean on the description of the hotel, but when we phoned them they where very helpful. Great vegetarian breakfast in the morning! Nothing, couldn’t fault it, though would request room on a lower floor on another visit as not getting any younger hauling bags up two flights of stairs. Parking works but appreciate this is the situation in Portsmouth. I parked on the street and receptionist gave me a voucher to park so fine. Having to go outside to the breakfast room when raining . Initially didn’t understand that the hotel is spread between 3 separate buildings. Comfortable ,clean room and helpful friendly staff. Good breakfast- no frills but to a high standard. Few minutes walk to the beach, nice staff. Bathroom inadequate, caravan size sink with glass shelf above. Shower fitting for adjusting shower head broken. Towel rail radiator loose on wall . Loo roll holder falling off wall. Paintwork in common areas tired. In general a bit of maintenance required. Staff excellent. Fair sized bedroom. Bed really comfortable. Breakfast good choice, with good quality produce. Very friendly and welcoming staff. Excellent location. Comfortable and clean room. Lovely breakfast with plenty of choices.